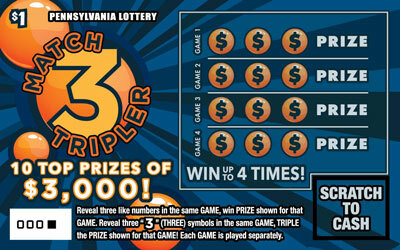 Match 3 Tripler is a $1 game that offers 10 top prizes of $3,000. Reveal three like numbers in the same GAME, win PRIZE shown for that GAME. 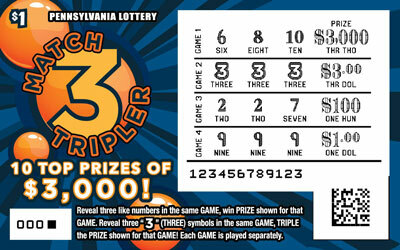 Reveal three "3" (THREE) symbols in the same GAME, TRIPLE the PRIZE shown for that GAME! Each GAME is played separately.